their faith to other Muslims but are free to practise it themselves. Some 200 Shias were arrested in December by religious authorities who accused them of threatening national security in multicultural Malaysia, where most of the 16.5 million Muslims are members of the Sunni sect. “We don’t prohibit Shiite adherents to practise but there are (laws) that don’t allow preaching to adherents of Sunnah Wal Jamaah (Sunnis),” Islamic affairs minister Jamil Khir Baharom told parliament according to state media. Jamil Khir said the government had made “various efforts” to halt the spread of the faith in the country, including issuing fatwas against the sect and the “monitoring and control of materials promoting Shiism.” Mohammed Khusrin Munawi, a former religious department head in Selangor state who led the December 16 raid, has said that Shia Islam represents a threat because “fanatical followers of the sect consider other Muslims infidels”. 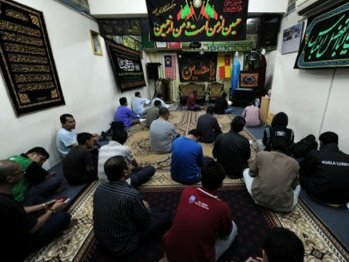 Shiite community leader Kamil Zuhairi Abdul Aziz said Wednesday that Shiites in Malaysia do not preach to other Muslims. “Although we keep a very low profile, live in harmony with Sunnis and non-Muslims and practise our religion within our community, we have been persecuted by the authorities for many decades,” he told AFP.